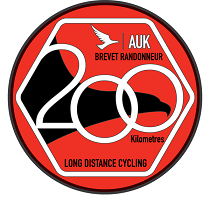 202km cycling event starting from Pound Street Car Park, Petworth, W Sussex. Controls at Pease Pottage Service Station, Hampers Green Community Centre and Petrol Station opp Churchers College Petersfield, plus 3 information controls. A Start of Summer Time 202k ride of two loops centred on Hampers Green Community Centre, Petworth. Start in the free Pound Street Car Park (Behind Co-Op Store). One feed on route at halfway in the Hampers Green Village Hall and again at the finish. No entries on the line. The ride consists of two loops, but based on feedback from 2016 version of this ride I�ve made several changes, including the use of more country lanes whenever possible and changes in the direction of travel with a descent of Duncton Hill. Hopefully these will address the reported issues of sharing the road with too many cars, many of which pass too closely. Stage 1 (34k) leaving Petworth by the High St you are soon back on the original main road route heading SE through Pulborough and Storrington to Steyning. Passing though Steyning you take the lanes through Botolphs and Coombes to the Shoreham By Pass for the first checkpoint. Stage 2 (36k) retracing back to and through Steyning, before heading N to Partridge Green. From here you continue heading N on minor roads to join the A281 for a few hundred metres into Lower Beeding. You then remain on the B2110 into Handscross, before arriving at the Pease Pottage Services (near Crawley) to control. Stage 3 (56k) leaving Pease Pottage you head W to Colgate before heading N through Faygate and Rusper. From Rusper you head NW towards Capel. A short section on the A24 is needed before turning W towards Cranleigh. The main road could have been used, but you are taken down Were Street, passing through Paynes Green, Oakwoodhill and Walliswood before reaching the outskirts of Ewhurst. Back on a main road you are soon in Cranleigh (INFO) before heading SW, passing through Alfold, Loxwood and Kirdford, before arriving for a well-earned feed and CONTROL at the Hampers Green Village Hall. Stage 4 (35km) initially leaving Petworth N on a main road before you turn W through Lurgashall and Fernhurst on country lanes. Further country lanes after Fernhurst take you W to Elmers Marsh before you head N to Liphook (INFO). From Liphook, you head SW on the old A3 to Petersfield and the well-used Esso Petrol Station to control. Stage 5 (48km) from Petersfield you head SE to South Harting before climbing the Downs, and then passing through Chilgrove to Lavant. After a short section on a main road in Lavant, you are soon skirting the N of Chichester to the final INFO. To make navigation easier, especially for those still awheel after dark, you return to Petworth via a main road, that includes a descent of Duncton Hill, so please take care. This is a BRM event so all Brevetcards will need to be sent away for validation.